Exercise has many positive effects on your health. But, most people consider these benefits to be physical (eg., stronger muscles, lower blood pressure, stronger heart, etc.). It turns out that there is a wide variety of mental improvements, too. Research supports all these benefits of exercise. I have written separate reviews on how exercise is beneficial for depression and for stress. I've also written a review detailing how exercise can improve intelligence. Below, I will discuss how exercise can reduce your risk of developing dementia in old age. What is the difference between cognition and intelligence? One way to think of intelligence is the ability to do math problems without a calculator. People who understand chemistry, genetics, physics, or electricity, for example, are "intelligent." The term "cognition" refers to mental function in a more global sense. A decline in cognition then, is not just an impairment in analytical skills, but a loss of memory of simple details (what is my phone number?, where do I live? ), poor short-term memory (where did I park the car? ), or, the most devastating to family members, a decline in the ability to recognize loved ones. These are early signs of dementia. Exercise can be beneficial for both: ie., regular exercise can prevent dementia as we age, but it can also enhance intelligence in students and healthy adults. This is why exercise is good for the brains of young people as well as older adults. According to the web site for the National Institute on Aging (accessed August 20, 2017), part of the National Institutes of Health (www.NIA.NIH.gov), more than 5 million adults in the US currently have Alzheimer's disease. Alzheimer's disease was first proposed in 1907 by Alois Alzheimer, MD. Up until recently, the diagnosis of Alzheimer's disease was based on a microscopic examination of brain tissue and finding "plaques" and "tangles". These pathologic findings were thought to be a hallmark of the process that damages brain tissue. However, more recently, research based on careful analysis of elderly subjects living in "Leisure World," a retirement community in Orange County, CA has revealed that the presence or absence of "plaques" and "tangles" in brain tissue isn't as reliable of a finding in Alzheimer's disease as was previously thought. The results of this important research are now starting to be published in medical journals (Bullain SS, et al. 2013). On Sunday May 4, 2014, CBS' "60 Minutes" aired an interview of neurologist Claudia H. Kawas, MD regarding this ongoing study of subjects from this community who were 90 yrs and older. The accumulation of excessive amounts of a molecule known as "beta-amyloid" in the brain is another finding in Alzheimer's disease. The basis for excessive accumulation of beta-amyloid appears to be genetic, whereas other causes of dementia are more related to behavior, for example, alcoholism or a sedentary lifestyle. A fundamental distinction between Alzheimer's disease and other causes of dementia is that, in Alzheimer's disease, there is a pathologic process that leads to death of brain cells. So, in this regard, Alzheimer's disease is like Parkinson's disease. It's been estimated that the brain consists of 100 billion neurons, each with 100,000 inputs. Thus, the brain can lose a lot of cells before any signs of dementia develop. This is likely why Alzheimer's disease is rare in early and middle decades of life, but the incidence rises dramatically after age 70. Looking at this list above, how many of those conditions are related to a person's lifestyle, and, thus, could potentially be prevented? ANSWER: Other than Parkinson's disease, all of them! Even Alzheimer's disease and low testosterone levels can be prevented (at least, partially) by exercising regularly. Thus, lack of regular exercise or activity is arguably the most important risk factor! During the past decade or so, the term "vascular" dementia has evolved (see below). This term suggests that brain function fails as a result of the same pathologic process that affects blood vessels in other areas of the body: atherosclerosis (Moser DJ, et al. 2004). In other words, brain vessels are susceptible to atherosclerosis just as the vessels of the heart are. If this is true -- and it appears to be! -- then, lifestyle modification can be beneficial. In one study, researchers examined the total amount of daily activity on the onset of dementia in 197 subjects ages 70-79 yrs. The researchers combined the amount of "moderate-to-vigorous exercise" with other daily activities (such as house chores) these subjects engaged in. Note the huge difference between the lowest and highest activity groups! Although this study cannot clarify whether "exercise" or "house chores" was the reason why mental function was better, nevertheless, this is further evidence that being sedentary all day every day can lead to health problems. Making a distinction between Alzheimer's disease vs. other causes of dementia is important because some research shows that physical activity and walking reduced the risk of developing vascular dementia, but not Alzheimer's disease (Ravaglia G, et al. 2008). However, a study from Finland reported that 20-30 minutes of aerobic exercise 2-3 times per week during midlife did reduce the rate of both dementia and Alzheimer's disease (Rovio S, et al. 2005). And research in elderly men also shows that a regular walking program (2 miles/day) reduced the risk of developing Alzheimer's disease many years later (Abbott RD, et al. 2004). In addition, animal studies have demonstrated that regular exercise can reduce the accumulation of amyloid in the brain (Adlard PA, et al. 2005), one of the key pathologic processes leading to Alzheimer's disease. Exercise, and general physical activity, can reduce your risk for developing dementia, and simultaneously benefit many of the contributory factors (diabetes, hypertension, etc.) Research on dementia, and, also, the ability of exercise to prevent it, is ongoing. Specific details regarding how exercise and physical activity can reduce the risk of developing dementia are discussed below. WHICH COMES FIRST: A DECLINE IN MENTAL FUNCTION, OR, A DECLINE IN PHYSICAL ACTIVITY? a) A decline in physical activity leads to the development of dementia. b) Brain function slows down and this leads to a decline in physical activity. To answer this, Eric Larson, MD and researchers at the University of Washington followed 2288 patients 65 yrs or older for 6 years. They looked at (a) how much these patients exercised and (b) what their baseline level of physical function was. None of the patients had dementia when they were first enrolled in the study. • Amount of Weekly Exercise: When they examined how often the subjects exercised, they found that the rate of developing dementia was lower in people who exercised 3 times per week vs. those who exercised less than 3 times per week. "Exercise" in this study was defined as at least 15 minutes of any type of activity: walking, hiking, biking, aerobics, calisthenics, swimming, water aerobics, weight-training, or stretching (Larson EB, et al. 2006). • Baseline level of physical function: When they assessed baseline level of physical function (eg., balance, grip strength, etc. ), it was found that poor physical ability preceded the onset of dementia, and, that higher levels of physical function delayed the onset of dementia (Wang L, et al. 2006). This research suggests that a decrease in physical activity precedes the onset of dementia. HOW DOES EXERCISE IMPROVE BRAIN HEALTH? • The "Cognitive Reserve" Hypothesis: This explanation assumes that exercise improves non-neural components of the brain, perhaps due to increased perfusion. • The "Vascular" Hypothesis: This explanation assumes that atherosclerosis is the cause of dementia and that brain function improves because exercise counteracts the effects of atherosclerosis. A study from the University of Iowa showed a definite relationship between cognition in elderly subjects and the ability of the vascular system to vasodilate. No relationship was seen between cholesterol levels and cognition in this study (Moser DJ, et al. 2004). (EDITORIAL NOTE: This pattern -- that vascular responsiveness is a better indicator of the health status of the vascular system than cholesterol levels are -- has also been seen in coronary artery disease. See my review: "Exercise and Coronary Artery Disease.") In women with documented vascular disease, JoAnn Manson, MD and colleagues showed that regular walking slowed the rate of cognitive decline (Vercambre M-N, et al. 2011). • The "Stress" Hypothesis: This explanation suggests that dementia is related to stress and that exercise can moderate the effects of stress. • The "Aerobic Fitness" Hypothesis: There is no question that higher levels of aerobic fitness have been associated with anatomic changes in the brain. However, so far, the research does not show a clear relationship between an increase in aerobic fitness and improved mental function. While academic researchers work to determine how exercise is beneficial for brain health, all you need to know is that regular exercise is good for not only physical health, but, it can also protect mental health in old age too! So, what types, and, how much exercise is needed to effectively prevent, or slow, the development of dementia? In 2007, fitness trainer Michael Gonzalez-Wallace made national news with his "Brain-Muscle Workout." It was featured in media sources such as Oprah's "O" magazine, ABC, Fox News, Chicago Tribune, CNN Headline News, Prevention magazine, and Fitness magazine and has been endorsed by some of the world's most respected neurobiologists, including John Martin, PhD, Professor of Neurobiology at Columbia University. The key to Gonzalez-Wallace's program, he claims, is tied to mental engagement. The concept is to activate the brain and nervous system by constantly challenging every limb with different movements and tacking on some kind of balance exercise. The workout, he claims, which focuses on the 28 muscles in the core and more than 400 others, progresses through four increasingly difficult phases during a 12-week induction period. As such, it makes your body immune to the plateaus that often impede progress during other fitness programs. Gonzalez-Wallace wanted to give his clients the kind of bob 'n' weave agility he mastered playing pro basketball in his native Spain. The Brain-Muscle Workout is designed to be done at home and does not necessitate any equipment. Gonzalez-Wallace created three, 30-minute long instructional DVDs that he suggests doing three times a week in addition to two short (20 minute) cardio workouts. By continuously teasing the body with balance and coordination challenges, the workout simultaneously stimulates the brain, muscles and nervous system. 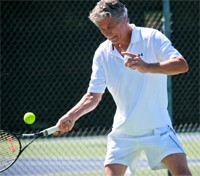 Gonzalez-Wallace likens his technique to other multi-joint exercises like Tai Chi, but maintains that the Brain-Muscle Workout provides quicker and more dramatic results. 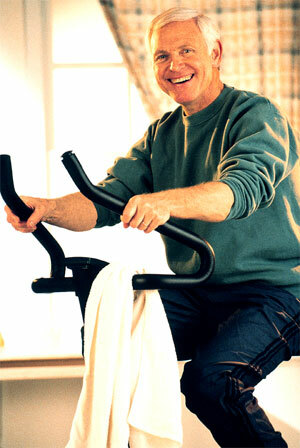 SO, WHAT TYPES OF EXERCISE ARE BEST TO PREVENT DEMENTIA? A November 6, 2007 press-release from the Brain-Muscle Workout stated that their program was "scientifically proven to reverse the physical and mental signs of aging while improving your fitness level." Gonzalez-Wallace is certified by the National Academy of Sports Medicine, but, is this workout routine what everyone needs to do to prevent dementia?...ie., three 30-min sessions combined with two 20-min sessions per week? Harvard researchers studied 2809 women, ages 65 or older, for 5.4 years. They found that there was a strong relationship between the amount of exercise these women performed each week and their scores on a variety of tests of cognitive function: as the amount of weekly exercise increased, so did performance on the tests of mental function. Note that, while many of these women walked for their exercise, there was participation in a variety of other activities: hiking, swimming, tennis, squash, racquetball, jogging, bicycling, aerobic exercise, aerobic dance, swimming, yoga, and the use of exercise machines (Vercambre M-N, et al. 2011). The benefits of (an equivalent of) walking at a brisk pace 30 minutes or longer every day were similar to being "cognitively younger" by 5-7 years. This suggests that pretty much any type of exercise might be beneficial in preventing dementia! How Important is Maintaining Your Aerobic Fitness Level? In general, aerobic fitness level improves as the amount and intensity of aerobic exercise increases. When I first started researching the benefits of exercise on dementia, my assumption was that there would be a clear relationship between aerobic fitness level and the incidence of dementia...ie., I expected the rate to be low in people who maintained a high degree of aerobic fitness, and, conversely, the rate would be much higher in people who were not aerobically fit. • As part of the CARDIA ("Coronary Artery Risk Development in Young Adults") study, changes in mental function were evaluated in nearly 2000 young adults over a span of 25 years. Their aerobic fitness level (determined by walking on a treadmill) was assessed in 1985-86, and, then, repeated 20-25 years later. At the time of the repeat treadmill test, the subjects also performed a battery of tests that assessed their cognitive ability. The researchers found that those who had done a better job of maintaining their aerobic fitness did indeed demonstrate better mental function (Reis JP, et al. 2013) (Zhu N, et al. 2014). It turns out that plain old walking -- ie., without combining it with strength exercise and balance exercise as the Brain-Muscle Workout does -- is very helpful in preventing the onset of dementia. • Walking 2 miles/day: Elderly men who walked at least 2 miles/day had a lower rate of both dementia and Alzheimer's disease when compared to men who walked less than 1 mile/day (Abbott RD, et al. 2004). • Walking 30 min/day: JoAnn Manson, MD and colleagues examined women with vascular disease. They evaluated how much exercise of various types the women performed and their rate of cognitive decline. The researchers converted the various activities into a standard measure of energy expenditure. They found that the equivalent of walking briskly (3.5 mph) 30 minutes or more every day significantly reduced the rate of developing dementia (Vercambre M-N, et al. 2011). This amount of exercise matches what is currently recommended for otherwise healthy adults (ie., 30 min/day of moderately-intense exercise -- which brisk walking is -- on most, or all, days of the week). • Walking 15 min/day: University of Washington researchers found that exercising for only 15 min/day, 3 times per week was beneficial in elderly subjects (Larson EB, et al. 2006). 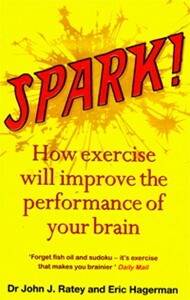 This is much less weekly exercise than recommended in the "Brain-Muscle Workout" by Gonzalez-Wallace described above. Even if aerobic fitness levels weren't evaluated in the studies of walking summarized above, walking is still considered an aerobic activity. What about exercises that are not aerobic? Are these types of exercise also effective for preventing the development of dementia? In 2013, Deborah Barnes, PhD, MPH, and colleagues at UCSF published a study comparing the benefits of an exercise regimen that included 30-min of aerobic exercise to one that did not include any aerobic exercise. In this latter exercise program, stretching/toning exercises were performed for 30 min and the researchers were careful to keep each participant's exercise heart rate low. The average age of the participants was 73.4 yrs (Barnes DE, et al. 2013). After 12 weeks, although the improvements were small, improvement in cognitive performance was seen with both exercise programs. Thus, this research suggests that a person does NOT have to exercise hard to achieve benefits in brain function. This is good to know because people who are elderly are often frail and not able to perform vigorous exercise. So, aerobic types of exercise can decrease your risk of developing dementia. What about resistance exercise (ie., weight-lifting)? • 12 months of exercise: In the first, published in January 2010, the researchers found that 12 months of once-weekly or twice-weekly resistance exercise was beneficial in elderly women (Liu-Ambrose T, et al. 2010). • 6 months of exercise: In the second, published in April 2012, the researchers then compared 6 months of resistance exercise to aerobic exercise in these elderly women. They found, again, that resistance exercise, performed twice per week, was beneficial on measurements of attention and memory (Nagamatsu LS, et al. 2012). • "Aerobic exercise" is any continuous activity where you are moving your arms and/or legs in a repetitive fashion for a sustained period of time. This could be running on a treadmill, riding a bike, swimming, an aerobics class, or, for some people, it could simply be brisk walking....ie., anything that gets your heart rate up and keeps it elevated during the entire time you are doing it. • "Daily physical activity" refers to routine house chores (doing laundry, vacuuming, mowing the lawn, gardening, washing the car, etc.). House chores might not boost your HR as high, nor make you work up a sweat, but, it turns out that staying active during the day -- and doing this regularly -- also provides health benefits. Because Alzheimer's disease appears to affect women more than men, another issue to consider is if exercise and/or daily physical activity can reduce the development of dementia in both men and women. A study published in the November 2005 issue of Lancet Neurology showed that men and women can both reduce their risk of developing dementia as they age if they are physically active in their middle decades of life (Rovio S, et al. 2005). • Women: JoAnn Manson, MD has co-authored numerous papers based on a large study evaluating the benefits of exercise in women ("The Nurses' Health Study"). In 2004, she and colleagues published a report in JAMA showing that long-term regular physical activity, including walking, is associated with significantly better cognitive function, and, less cognitive decline, in women (Weuve J, et al. 2004). CAN DEMENTIA BE REVERSED WITH EXERCISE? Pretty much all of the research on the effects of exercise on dementia has examined ways to prevent or delay its development. Is there any research showing that adopting an exercise program can reverse dementia if it has already set in? • The May 13, 2013 issue of JAMA Internal Medicine contains a report from researchers at UCSF. They recruited elderly subjects (mean age was 73.4 yrs) who had a documented decline in cognitive function. Subjects exercised at a YMCA for 60 min/session, 3 days per week, for 12 weeks. The researchers found small improvements in cognitive ability after a 12-week exercise program (Barnes DE, et al. 2013). • In addition, the September 3, 2008 issue of JAMA contains a study from Australia showing that a 24-week exercise program did improve memory in elderly subjects (average age 68.6 yrs) who had documented memory problems, but no overt dementia (Lautenschlager NT, et al. 2008). Q: Can doing crossword puzzles and games like Sudoku maintain brain function as we get older? ANSWER: Intellectually-challenging tasks do stimulate brain "activity." Research has been conducted on tasks that vary from knitting (yes, really!) (Gabrigoule C, et al. 1995) to doing Internet searches (Small GW, et al. 2009). However, documenting that a task increases brain activity does not necessarily mean that doing these tasks regularly will reduce your risk of dementia. Having said that, Swedish researchers ("The Kungsholmen Project") showed that frequent participation in mental activities (reading, writing, crossword puzzles), social activities (playing cards), or productive activities (sewing, knitting) were each associated with a lower risk of dementia in old age (Wang H-X, et al. 2002). The Bronx Aging Study also showed that cognitive (non-physical) activities such as reading, writing, crossword puzzles, and board games reduced the risk of developing dementia and Alzheimer's disease in elderly subjects (Verghese J, et al. 2003). What bothers me is that, while people are doing these mental activities, they are not exercising or even moving their bodies! Some research shows that sitting all day is still detrimental to your health even if you get your recommended 30 minutes of exercise every day (Biswas A, et al. 2015) (Matthews CE, et al. 2012) (Owen N, et al. 2010). In my opinion, anything that leads to more sitting is just not a wise thing to recommend! So, sure, when you're stuck on an airplane for several hours, might as well do some puzzles. But, when you can, moving is always better than sitting. Q: You didn't discuss nutrition. Isn't that also important for brain function? • Foods That are BENEFICIAL for Brain Function: Regular consumption of fats/oils of the omega-3 type (found in oily fish, fish oil supplements, flaxseed, walnuts, canola oil, olives, olive oil) appear to substantially reduce the risk of dementia in old age. One of the key nutrients in these foods is docosahexaenoic acid (DHA). It has been shown that the brains of people with Alzheimer's disease contain lower quantities of DHA (Soderberg M, et al. 1991). And, a separate report based on the Framingham Heart Study showed that individuals with blood levels of DHA in the highest quartile had a 47% lower risk of developing dementia compared to those with levels in the lowest quartile (Schaefer EJ, et al. 2006). Two additional studies published in the April 2007 issue of the American Journal of Clinical Nutrition also demonstrated that fish oil/DHA can reduce the risk of developing dementia (Beydoun MA, et al. 2007) (van Gelder BM, et al. 2007). • Foods That are DETRIMENTAL for Brain Health: Refined carbohydrates, which include not only table sugar and high-fructose corn syrup, but, also starchy foods made from refined flour such as white bread, crackers, chips, white pasta, etc. Some, but not all, saturated fats have been associated with developing dementia. One of them is palmitic acid (Beydoun MA, et al. 2007), which is found in palm oil. On Sunday night, March 15, 2015, I watched an episode of "The Wonder List" by Bill Weir on CNN. In this episode, Weir explores 2 "blue zones": isolated populations of adults who routinely live to age 100, often disease-free. The term "blue zones" was coined by National Geographic researcher Dan Buettner and is the title of his book The Blue Zones. When Buettner found these populations, he would circle their location on the map with a blue marker, hence, the name. 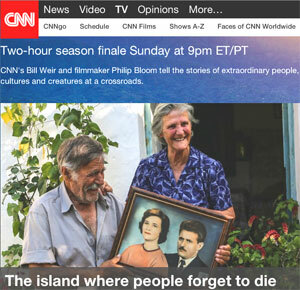 Bill Weir profiled the people living on the Greek island of Ikaria, a blue zone identified by Buettner. During the program, Weir interviewed Buettner. Buettner stated that dementia on the island of Ikaria occurs at one-fifth the rate in the US. That's a pretty dramatic difference! After studying the handful of blue zones he has so far located in the world, Buettner has determined that there are 9 common traits in these populations: one of them is that these people are active all day long, every day, either from doing gardening, or doing other daily chores. In other words, they don't spend hours and hours sitting! During the episode, Bill Weir is seen investigating the contents of a freezer in a market. He only found one frozen pizza! These people do not eat junk food or processed foods. And they routinely live to 100! • All forms of exercise -- aerobic exercise, walking, strength (resistance) exercise, and toning/stretching -- seem to be beneficial. 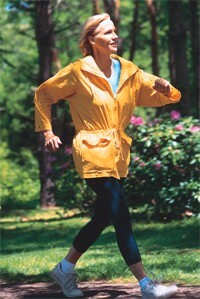 • Regular aerobic exercise is more important than "vigorous" aerobic exercise. What is still not clear is what is the best form of exercise to prevent dementia. While it is attractive to assume that your risk of dementia goes down as your aerobic fitness level improves, so far, the research does not show that you need to exercise that vigorously. 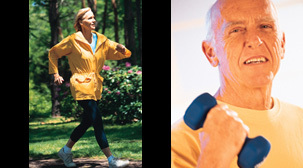 Studies of elderly subjects revealed that 15 minutes of exercise per day, 3 days per week, was beneficial. In one study, toning and stretching exercises were beneficial even without including aerobic types of exercise. Other studies showed that traditional exercise wasn't even necessary: simply staying active each day, either by doing house chores, or, just "fidgeting" can be beneficial. • "Prevention" seems to be critical when it comes to Alzheimer's disease. At this point, most researchers feel that advanced Alzheimer's disease cannot be reversed. However, regular walking can reduce the rate of cognitive decline in people with existing vascular disease (Vercambre M-N, et al. 2011). • Eat oily fish regularly! Oily fish is the best source of DHA, an important nutrient for the brain. Cod or Chinook salmon have been recommended (Connor WE, et al. 2007). Strive for 2-3 servings per week. The bottom line is that the risk of developing dementia is lower in old age if you exercise regularly. It is likely that regular exercise invokes multiple beneficial changes in the brain. So, what should you do? The simplest recommendation is to walk briskly on as many days of the week as you can. Swing your arms to help push your heart rate up. Research shows that walking works and it's one of the easiest things for people to do. "Walk To End Alzheimer's": The Alzheimer's Association coordinates fund-raising walking events around the country. See: Act.ALZ.org. The BrightFocus Foundation (previously known as the American Health Assistance Foundation) is a non-profit group that supports research and provides education on Alzheimer disease, along with eye diseases such as glaucoma and macular degeneration. Their web site is: www.BrightFocus.org.